Hobart, the capital of Tasmania, is a town and seaport in the south-eastern part of the island, with a harbour on the estuary of the Derwent. 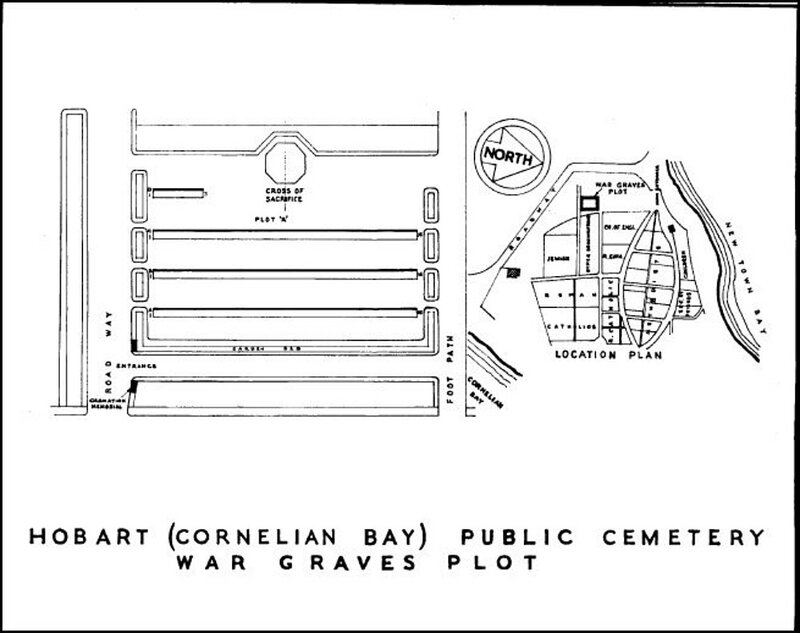 The Public Cemetery is at Cornelian Bay, 3.5 miles by road from Hobart General Post Office. 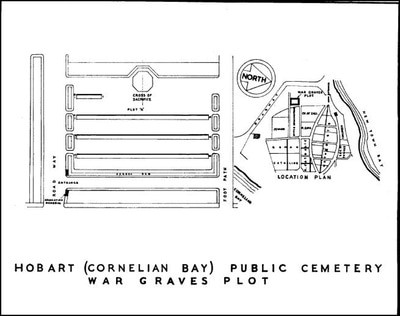 During the Second World War, Hobart was provided with fixed defences for the protection of its shipping. 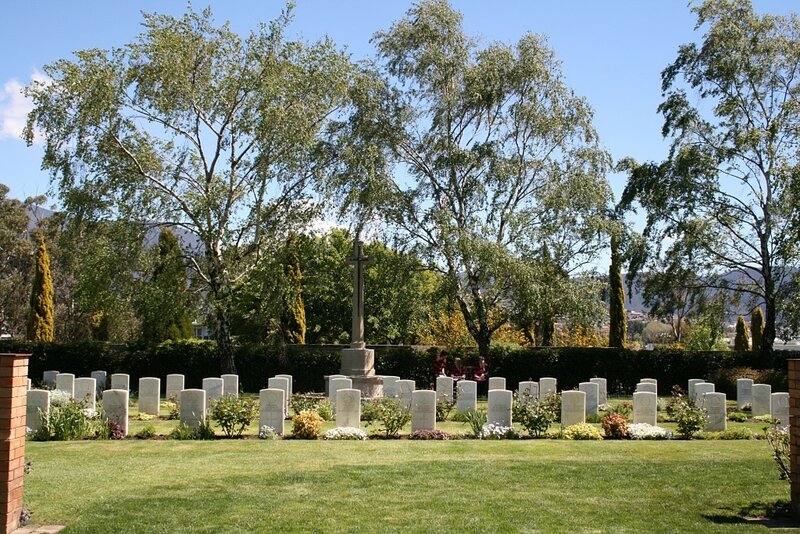 HOBART (CORNELIAN BAY) PUBLIC CEMETERY contains 49 Commonwealth burials of the First World War and 75 from the Second World War. 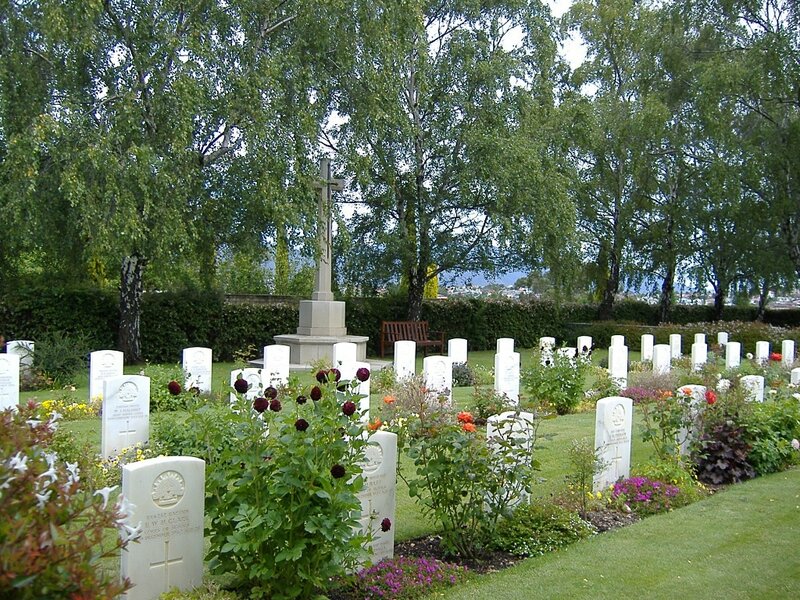 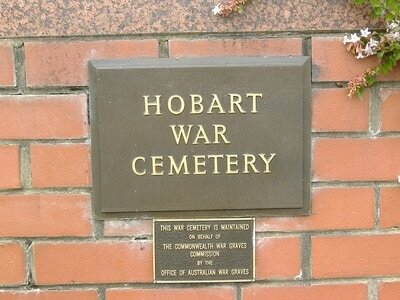 Of these, over 40 are in the war graves plot, known locally as Hobart War Cemetery. The remaining war graves are in various other parts of the cemetery. 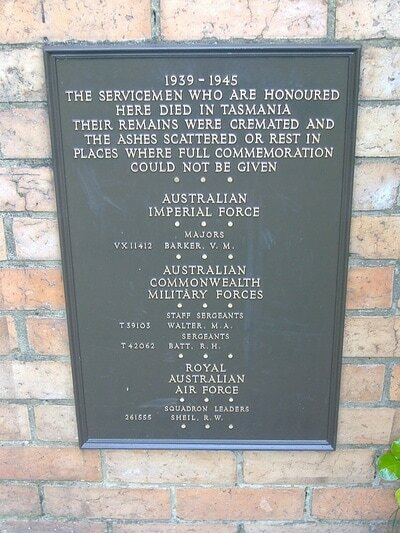 Also situated in the cemetery are the HOBART CREMATORIUM, where 18 Second World War servicemen whose remains were cremated are commemorated, and the TASMANIA CREMATION MEMORIAL, honouring four men whose ashes were scattered elsewhere in Tasmania.